Christephi.com: Doggy, doggy, where's my bone? As Miss M played in her doghouse, she kept asking for dog things -- dog food, water in a bowl, a leash. 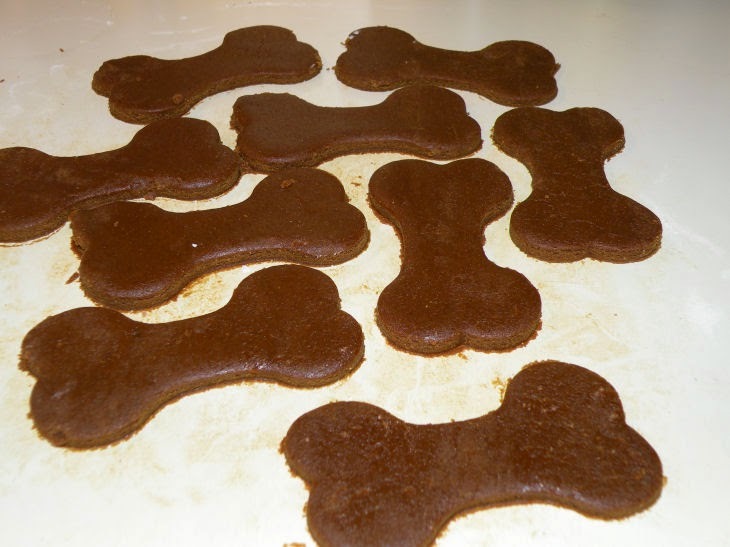 So I took it into my head to make bone-shaped "dog biscuits" from gingerbread. 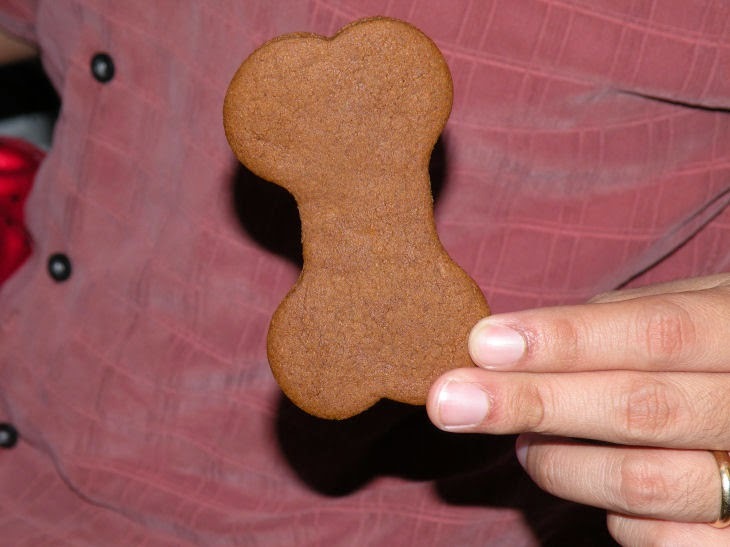 I used Eileen's Spicy Gingerbread Men recipe. The only changes I made were to use real butter instead of margarine, double the cinnamon, and halve the cloves. They were a big hit with Miss M, probably more because of the shape than the flavor. 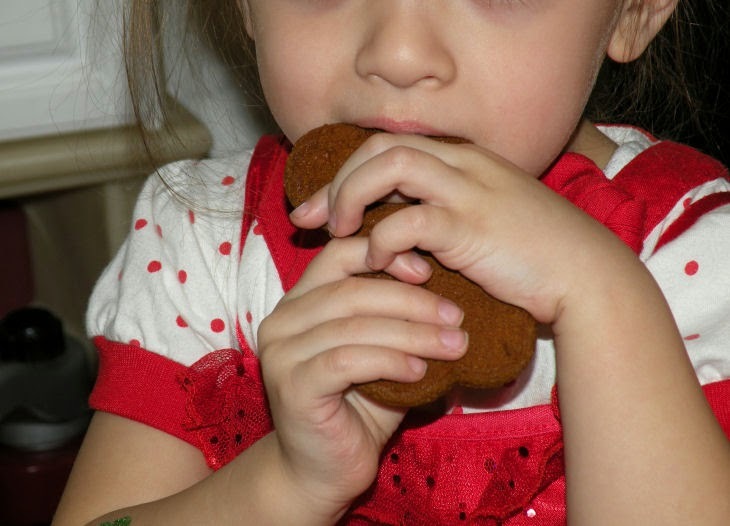 They were a big hit with me because of the awesome gingerbready goodness! Mmmm! Hubby tasted one, but he likes my applesauce gingerbread better. I'll have to make some of that soon, it's good too!